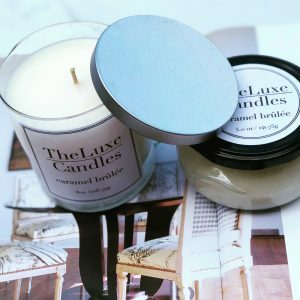 This candle is a rich scent of coffee beans blended with freshly roasted buttery hazlenuts, light hints of chocolate and creamy french vanilla. A The Luxe Favorite!!! My family loves this candle. It is my go to fragrance every time I finish cooking in the kitchen. It has a great ‘fresh waffles in the morning’ fragrance that wakes you up with a smile on your face and it lasts ridiculously long. This one is a staple in my home 😊. Gets a double thumbs up from me.